Combine a Role Playing Game with a combat title and you have what we are currently reviewing, Hidden & Dangerous 2. 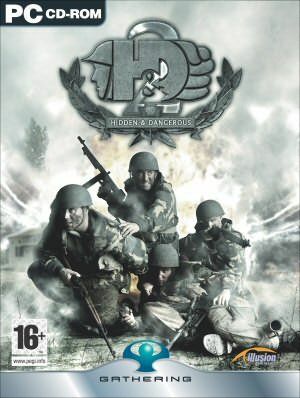 Following the exploits of a small team of British SAS Special Air Servicemen, you will take your team into hot spots around the world where conflict is taking place to sort out whoever needs seeing to. To give you an idea of who the SAS are; they are the best of the best. Superbly trained to go and do what other highly skilled soldiers cannot, they are the masters of weaponry, technology and tactics. They go behind enemy lines to cause subversion from within by going for the throat of the foe to cause havoc that will have ongoing effects down the line to the ordinary troops. 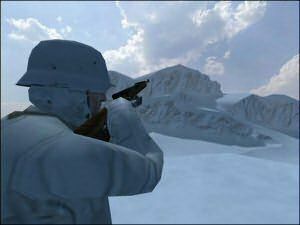 When the first incarnation of Hidden & Dangerous came out, players were impressed with the range of options they had as this was a fairly new genre covering gameplay that other developers had not touched before. Naturally with such an ambitious title, there were a number of shortfalls that it encountered at the time, this title addresses some of these and creates new ones in it's wake. A successful sequel? We think so and believe that you will too. One of the hardest things to remember with this game is that it does combine that role playing element so players must be careful to be sure that you equip your men correctly as there are no second chances once you are out in the field and the stats that the computer is compiling against their performance will affect the number of skill points that you have to disperse amongst the various abilities that they have to augment. These are broken into separate distinct categories that you can choose to upgrade when your men have the experience behind them. They are: Health, Strength, Endurance, Shooting, Stealth, First Aid, and Lock Picking. You choose the equipment that your men get, taking into account their skills in order to best prepare them for the fight ahead. One thing I did note was that the shooting skill section did not differentiate between heavy and light weaponry which I found odd. 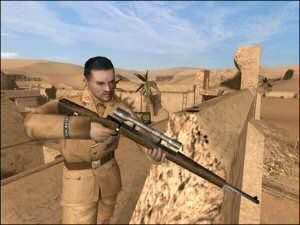 A sniper for example would probably not be very proficient with a heavy machine gun or rocket launcher, however in this title, the game doesn't draw any distinction between the two. Whilst it makes it easy to utilise a number of weapons, it meant that you could make some fairly unrealistic attacks possible with the right weaponry. Making sure you are conversant with all the commands in the game are only going to assist you as well. There is a command for everything that you might need to do. Add to that the fact that it will involve pressing another key and you get the picture. There are no dual assignments to any key and things that could have been done with one key are assigned to their own seperate command. It makes it sound like a negative, and in some ways it is, but combine with the fact that there is also some pretty savvy AI happening with your men and you will be more than happy with the result. Effective combat is reliant upon good intel and the men under your command will give you all sorts of feedback with regard to enemy positions and the like. When this happens, a real cool thing occurs; the enemy shows up on your radar as the standard red blip which you can then find. It's a really neat feature and one that I found came in handy and developed a real feeling of teamwork with you and the computer controlled squad. The game in itself looks great and sounds good too. 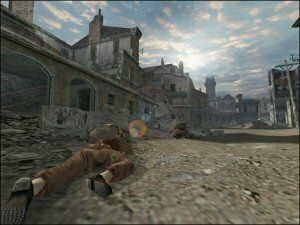 You could see the gameworld for miles and miles which was amazing, however with that distance shown being also the amount of distance that you would have to travel to reach objectives, sometimes it did get frustrating just getting to the objective before you had to carry it out. Also there were times during firefights that one man might get in the shooting line of another making for some tense moments. Despite the shortcomings mentioned, I did find the game overall highly enjoyable and a worthy successor to the first title. If I may be permitted to make a suggestion though that will stand you in good stead for the entire game, it would be to always take a compass and always load your men up as much as you can. Be aware of your men's health and look after them as there will be missions where you need a certain number of troops to get the job done. Nuff said!